Right an update on this one, after masking taping the car as per above....silence ! 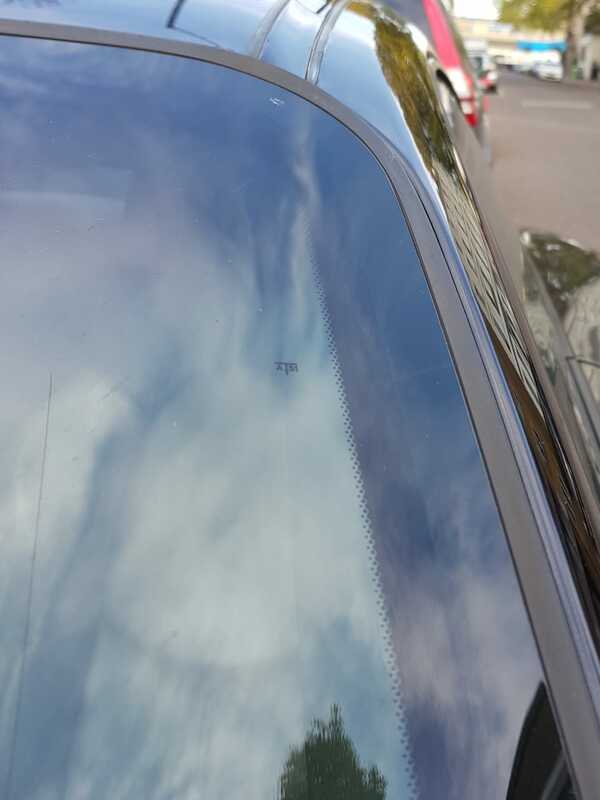 I was also in the passenger seat this time and its clearly coming from the top corner of the passenger windscreen. This now clearly points to the recent windscreen fitting. Looking closely, I already knew that the windscreen rubber was slightly lower at the top than factory (due to original sit line) but I bet it is actually penetrating at that upper left hand side where you can see the slight gap against the painted surface. So given I dont think there is a simple fix/wider rubber trim, then I need to look at getting it re-fitted or see if a little spec of black silicone doesnt look too ungainly until a stone flicks up and kills the screen.